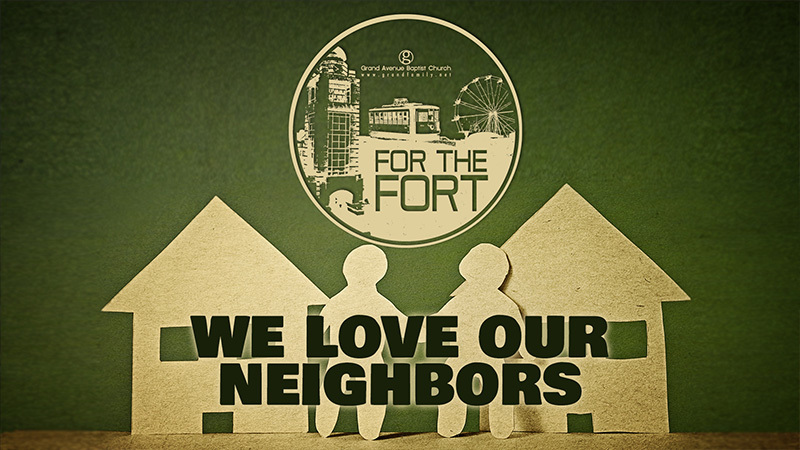 Our September For The Fort emphasis is “We Love Our Neighbors.” September 28th is National Good Neighbor Day. This would be a great excuse for individuals to get out and build relationships with their neighbors. As a Sunday School Department, you might think of some bigger projects in the neighborhoods in which you live. You could host a block party, do some lawn work, build a handicap ramp, pass out cookies, etc. National Good Neighbor Day was created in the early 1970s by Becky Mattson of Lakeside, Montana.